As popular as it’s become, many people still shy away from adopting a low carb lifestyle. That’s because they’re under the mistaken impression that low carb means bland, or worse, boring. It doesn’t, especially when you use chicken as your main ingredient. 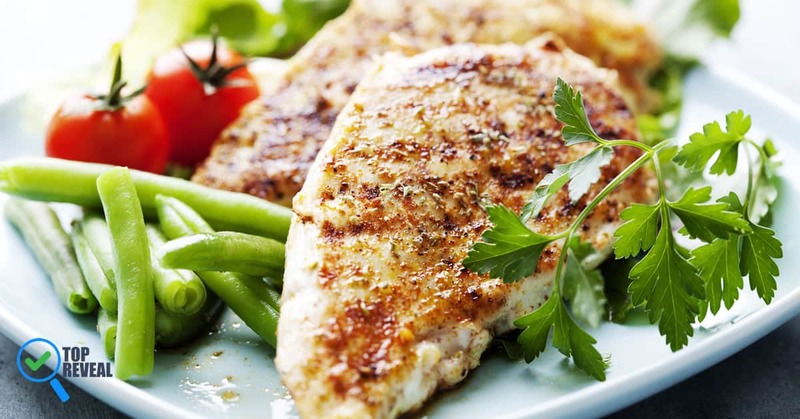 Chicken is a great protein as it is lean, juicy, and versatile, so you can use it for just about any meal to create something tasty and healthy. 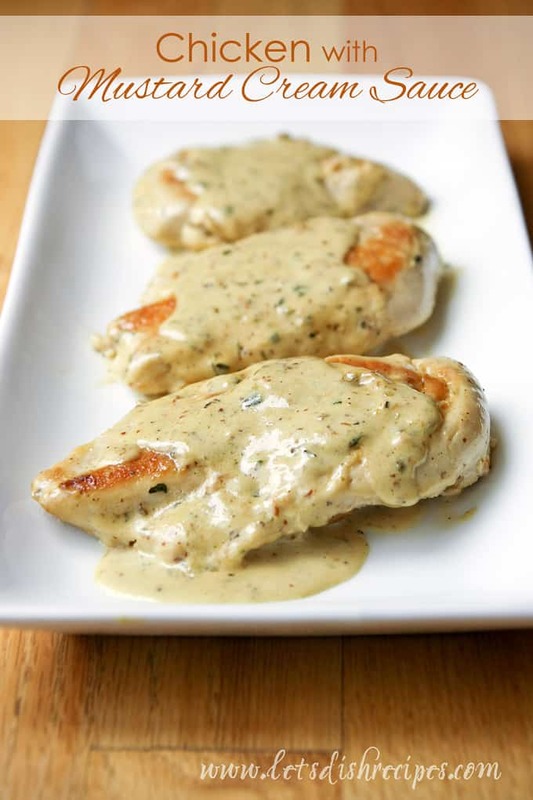 And to give you some inspiration I’ve put together this list of tantalizing low carb chicken recipes. 1.8 Did Someone Say Bacon? 1.27 You’re Pulling My Leg! 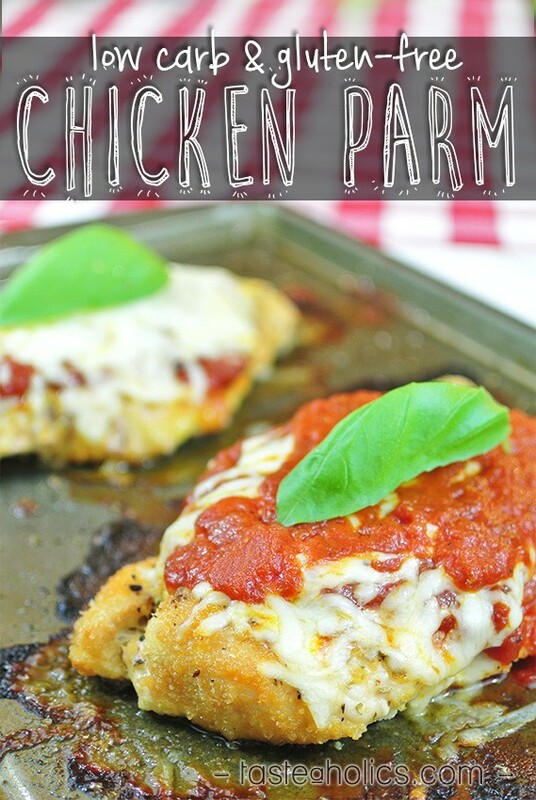 This recipe from tasteaholics takes a traditional chicken parm and makes it carb and gluten-free by substituting crushed pork rinds for breadcrumbs, so you can chow down minus the guilt! Want a tasty carb-free meal that looks like it comes straight from Gordon Ramsay’s restaurant? Then check out this delectable savory sweet meal courtesy of Men’s Journal. Mustard is a great condiment to use when cooking low carb because you can go spicy or mellow to add a ton of flavor that is low in calories and carbs. This recipe via letsdishrecipes.com shows you just how to do it and gives you a unique recipe others will be asking about. 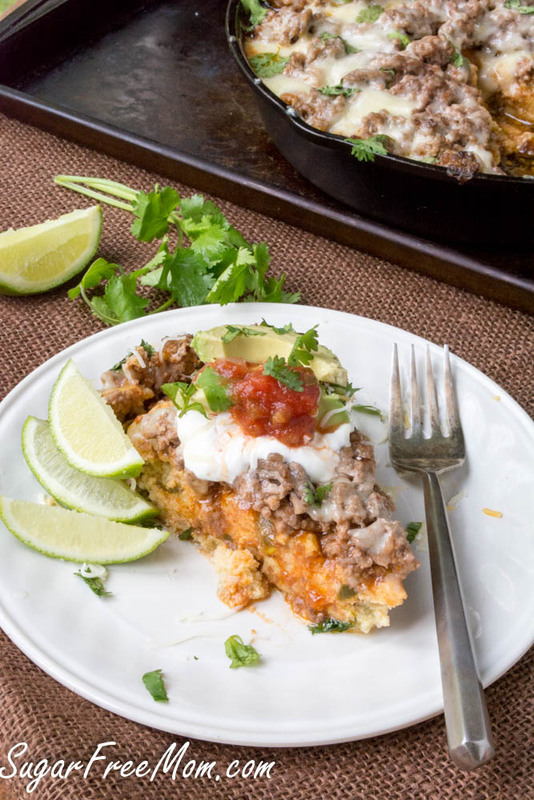 Indulgent, decadent, yet carb-free, this homey Mexican skillet dish uses grain-free cornbread for a down-home meal that fills you up, but not on empty calories. 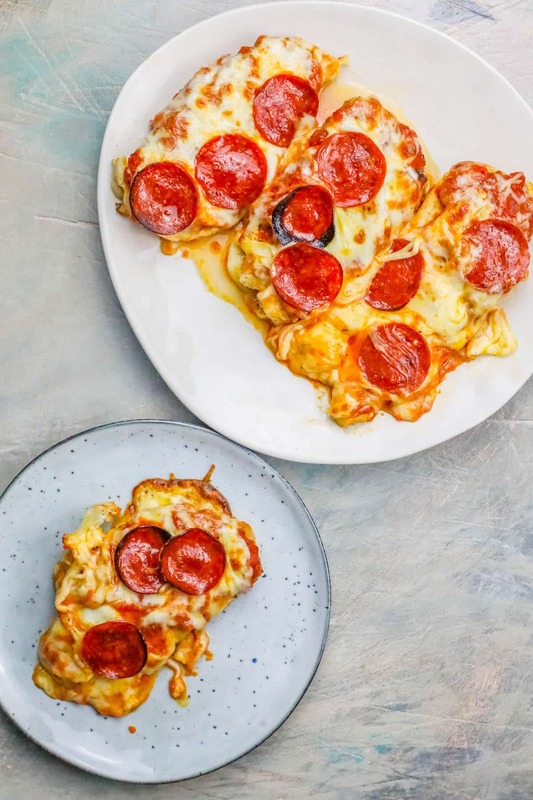 Pizza is usually a big no-no when you go low carb but not with this recipe by Sweet C’s Design. The secret? oh-so-thin chicken cutlets are used as the base! 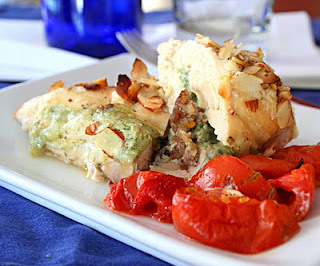 The perfect summer meal, this chicken recipe from Holistically Engineered is stuffed with prosciutto for the perfect blend of salty and savory. 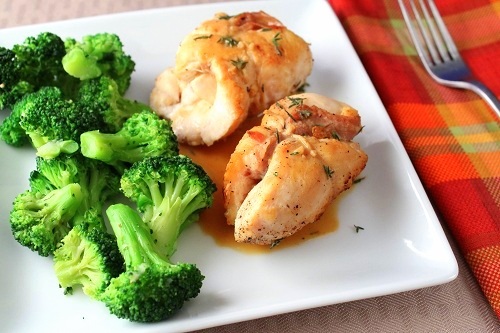 Drizzle the broccoli with some lemon for a nice dash of acidity to cut through all that richness. 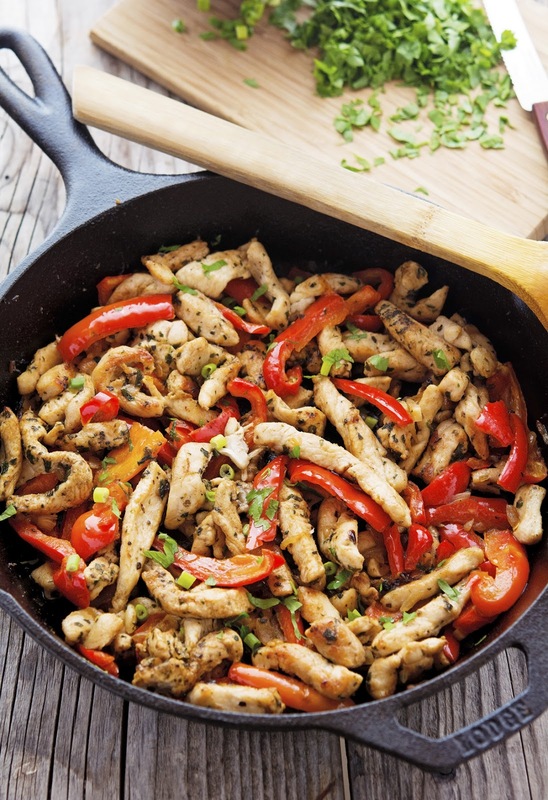 Spice thinkgs up without piling on carbs by adding a little Mexican spice to create chicken fajitas- minus the wraps. The mix of chicken and veggies seen on The Iron You are packed with flavor and promise to have you coming back for more. 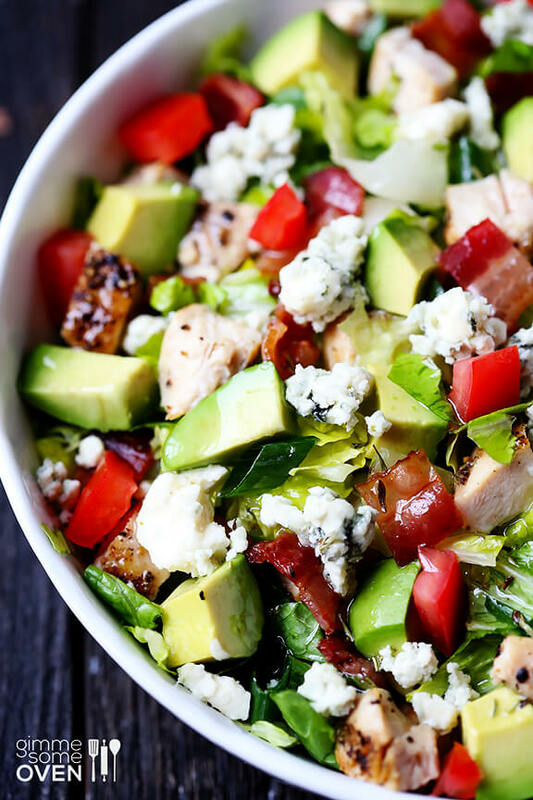 Salad and Avocado in the summer are a no-brainer. 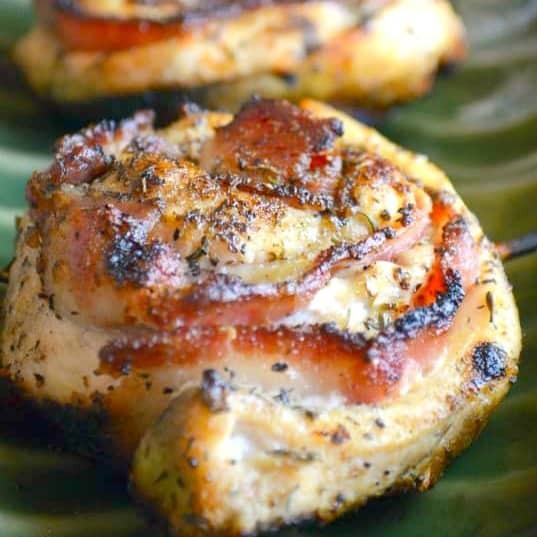 Throw in some bacon like in this recipe from gimmesomeoven.com and you’ll never do it any other way again. The great thing here is that there’s a balance of healthy fats, so you are eating right without sacrificing flavor. 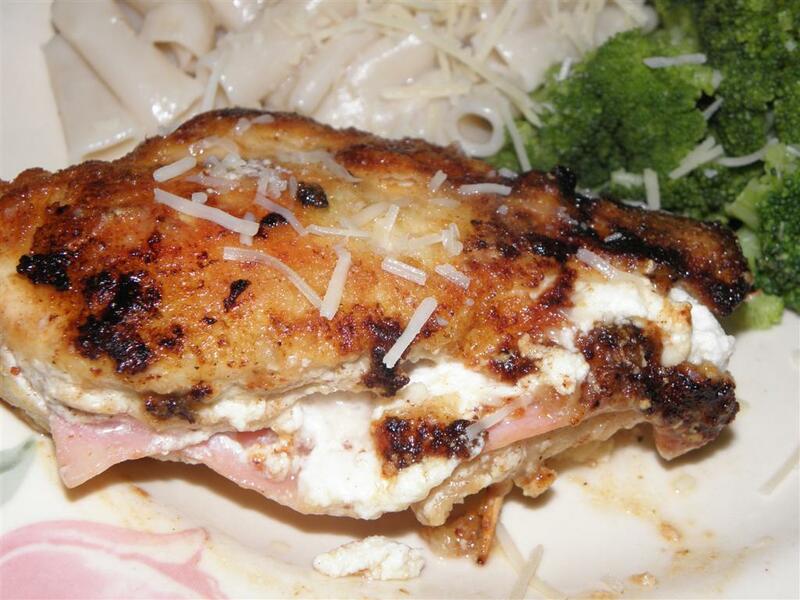 Chicken Alfredo is a high-calorie, high carb meal. Usually. As you’ll see with this recipe from My Montana Kitchen that doesn’t always have to be the case. Substituting cauliflower for pasta, carbs go out the door and you can use a low-fat cream cheese to keep the calories down as well. Chicken breasts can be a little dry at times, so pairing it with a more fatty meat, like pork sausage, is a grea way to infuse moistness and a depth of flavor. And since only a little sausage is needed, you don’t need to worry about calories. Get the recipe courtesy of All Day I Dream About Food. If you like a bit of heat in your food then you’ll love this Salad by iowagirleats.com, which is spicy without going too far. The buffalo flavoring on the chicken and eggs is tempered by the array of vegetables. It’s a potent salad that is crunchy, spicy, and mm, mm, good. When you go low carb one of the biggest sacrifices you make is pasta. 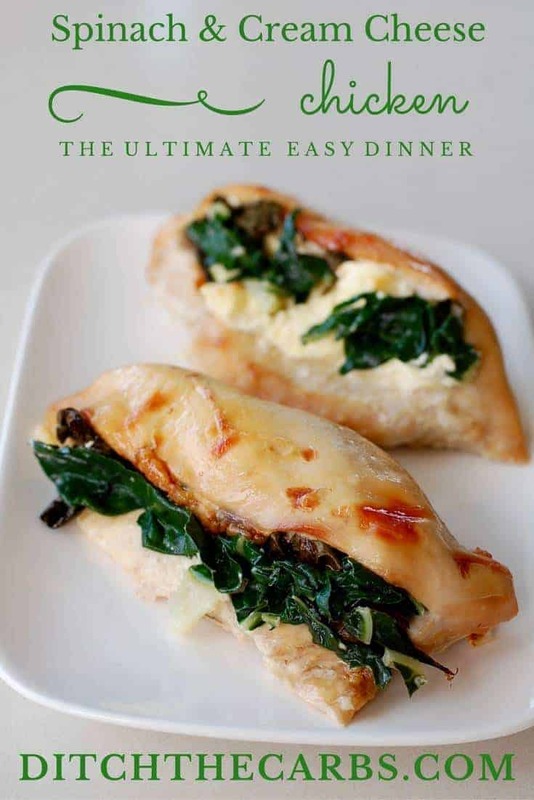 But, with this recipe from Sugar Free Mom, you can almost fake it by stuffing your chicken with some creamy ricotta cheese. The ricotta gives it a sinful feel while still keeping it healthy. 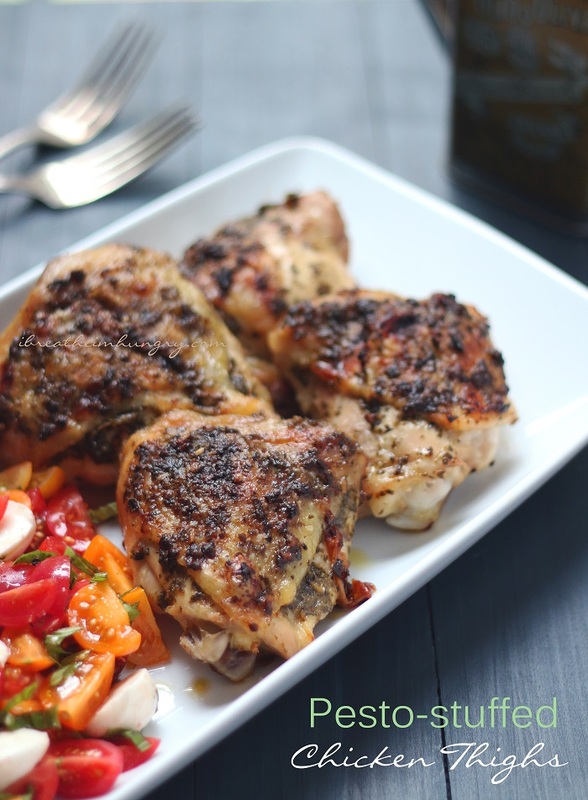 Pesto is perfect any time of year, but especially on a warm summer night as it pairs perfectly with chicken and all the seasonal vegetables. This recipe from I Breathe I’m Hungry is simple to throw together and can be whipped up in no time. Popeye loved his spinach and you will too once you taste this flavorful recipe from Ditch the Carbs. 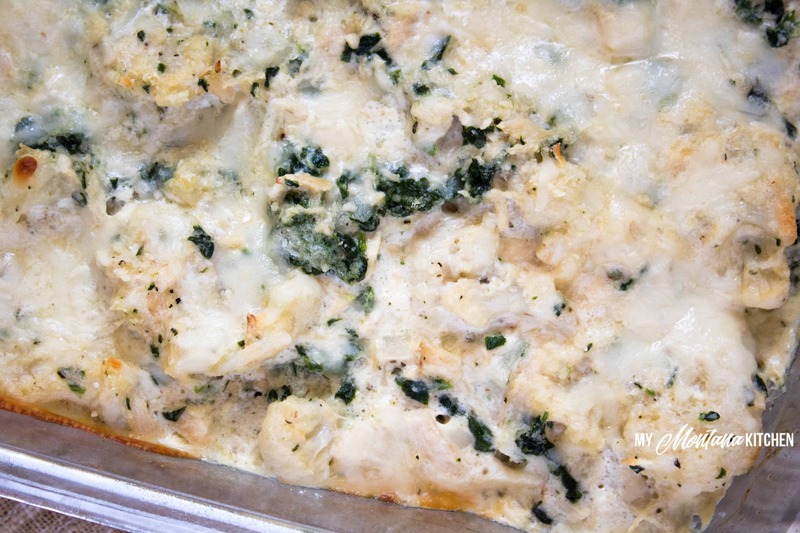 Using cream cheese and spinach you can stuff the inside or even spread it across 2 grilled 2 chicken cutlets like a sandwich. 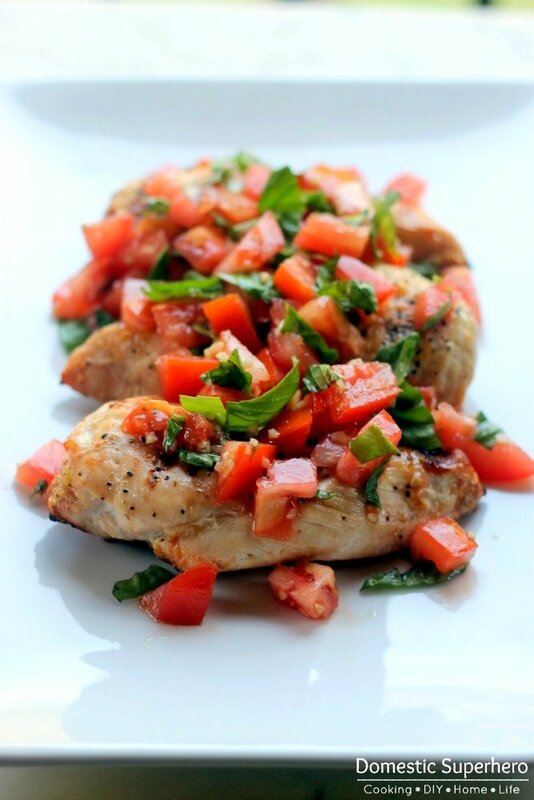 Great for lunch or dinner. 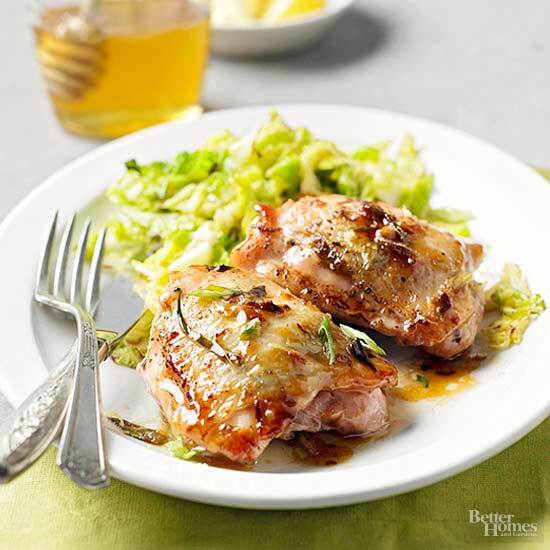 Lemon is a classic flavor for chicken but this recipe by bhg.com takes it to the next level by adding warm and spicy ginger to the mix. The chopped scallions add a nice touch and makes this a great summer night dish when gathering with family and friends. Who said chicken is only for lunch or dinner? For that matter, who said eggs are only for breakfast? Break all those rules with this delicious dish from Kalyn’s Kitchen, featuring Avocado, chicken and some sunny-side-up eggs. Perfect for any meal, it’s light yet filling. Great for an appetizer for a party, as a snack, or as part of a meal this mini meatloafs by ambitiouskitchen.com are cheesy yet nutritious and pair perfectly with a salad or, if you have a carb craving, some air-fried sweet potato fries. The secret is using quinoa instead of breadcrumbs. 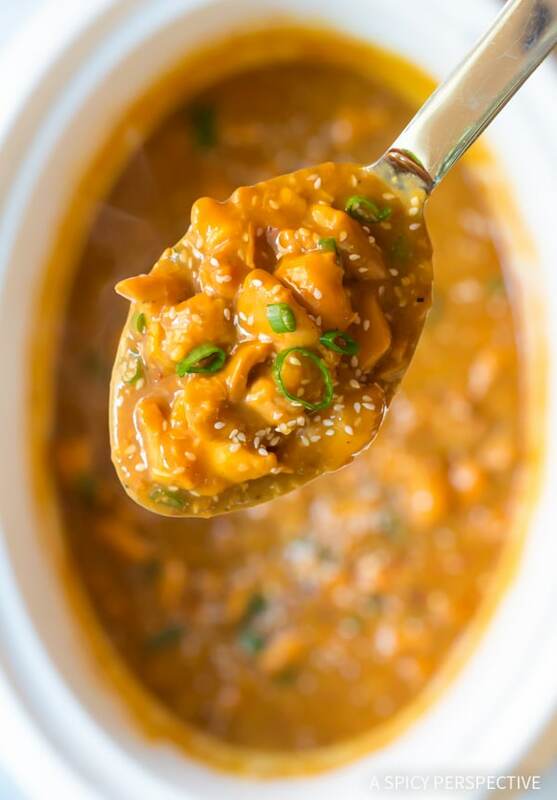 Curry packs a ton of flavor in every bite of any food, so it’s no wonder this dish by Very Well Fit is a favorite among low carb eaters. 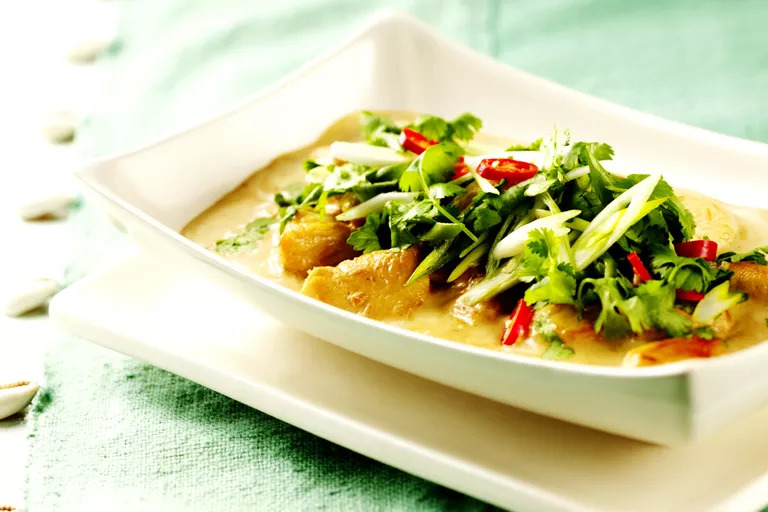 The curry and coconut add layers of complex flavor that’s equal parts spicy and sweet, but not in a cloying or overpowering way. Bacon makes everything better, at least I think so. If you agree then try this yummy recipe from realhousemoms.com, which is just the perfect bite. 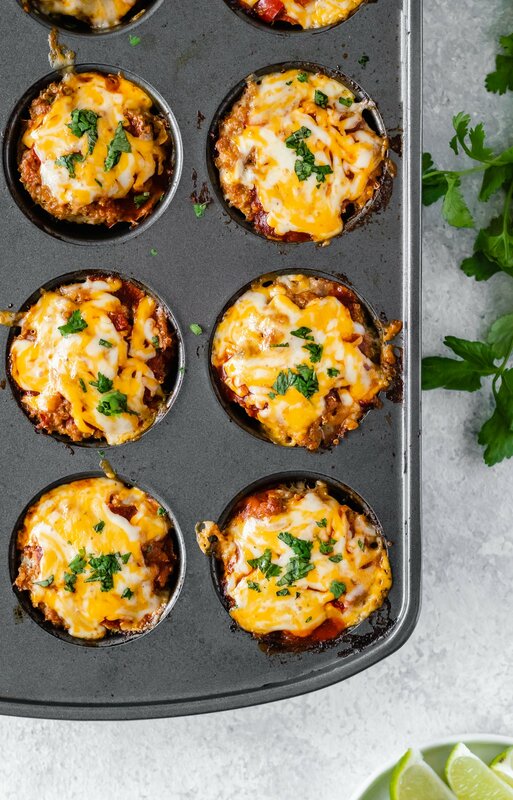 These are great for party appetizers or for tricking your kids into eating healthy. 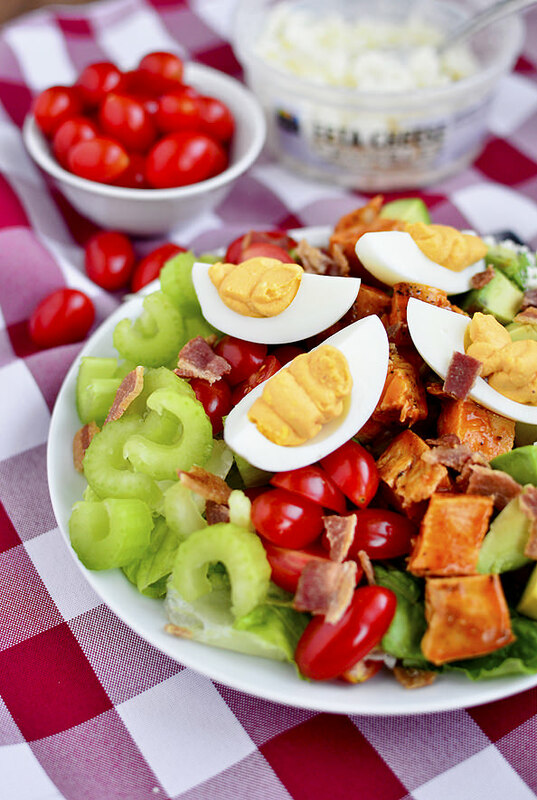 Courtesy of lindawagner.net salad gets bumped up a notch in terms of flavors and creativity with this yummy recipe. The Chinese overtones add crunchy, tangy elements that will have you swearing salad never tasted so good- or was so satisfying! 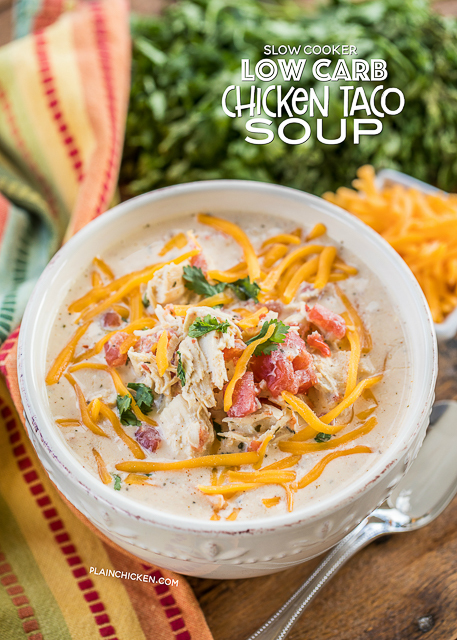 With just 7 ingredients, this taco soup by Plain Chicken is anything but plain. Using a slow cooker allows the flavors to steep and also makes it the perfect meal during the summer because you don’t need to use the stove. I don’t know about you but I love tacos, so this recipe is at the top of my favorite’s list. 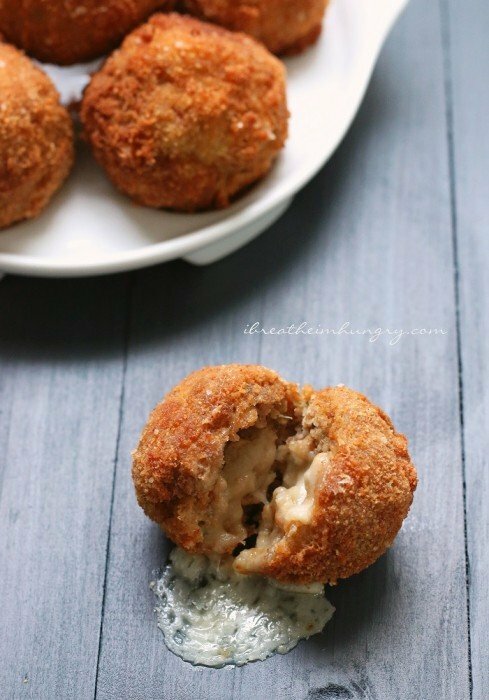 When I first saw this recipe from ibreatheimhungry I swore they had to have hidden carbs- those are breadcrumbs, right? Wrong! turns out the recipe calls for almond flour, which, mixed with parmesan cheese gives these chicken nuggets a crispy exterior that’s carb and gluten free! Hooray! Using lettuce is a smart way to create wraps without adding unnecessary carbs. Plus, the lettuce cuts through the richness of the Korean spices for a more balanced bite. Try this awesome recipe on littlebroken and you’ll see what I mean. They make great appetizers. Bruschetta without the bread? Trust me, once you try this recipe on domesticsuperhero.com you won’t even miss it. All the flavor from a traditional bruschetta are here and the diced tomato gives enough of a crunch to make up for the lack of bread. I love Chinese takeout but all the added sugars had me giving it up when I switched to a low carb lifestyle. Until I stumbled across this amazing recipe from A Spicy Perspective. The coconut sugar is the perfect substitute, giving it a slight hint of sweet without packing on carbs. One can use this kind of knife to cut the meat. Any meal I can throw together using just one pan is an instant winner for me. And this one by damndelicious will be a winner for you too. 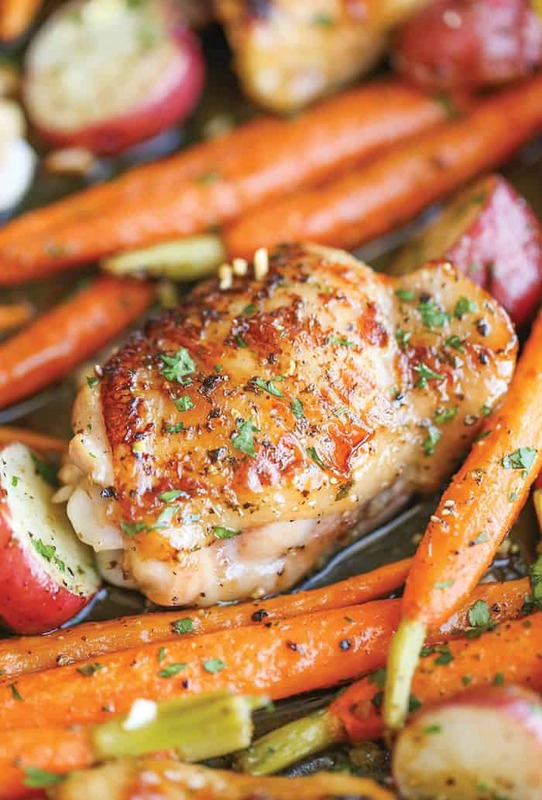 The herbs and spices brighten the chicken and vegetables and enhance their natural flavors for a knockout dish. Healthy pulled chicken? Yes, it’s true! 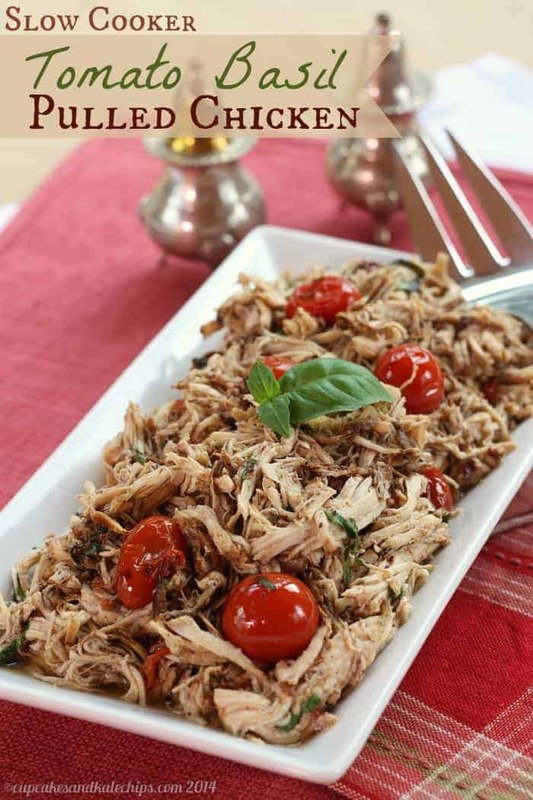 This recipe from Cupcakes and Kale Chips shows you just how to create a healthy version of pulled chicken that is just as yummy and mouth-watering than the original thanks to juicy Cherry Tomatoes and lots of herbs. 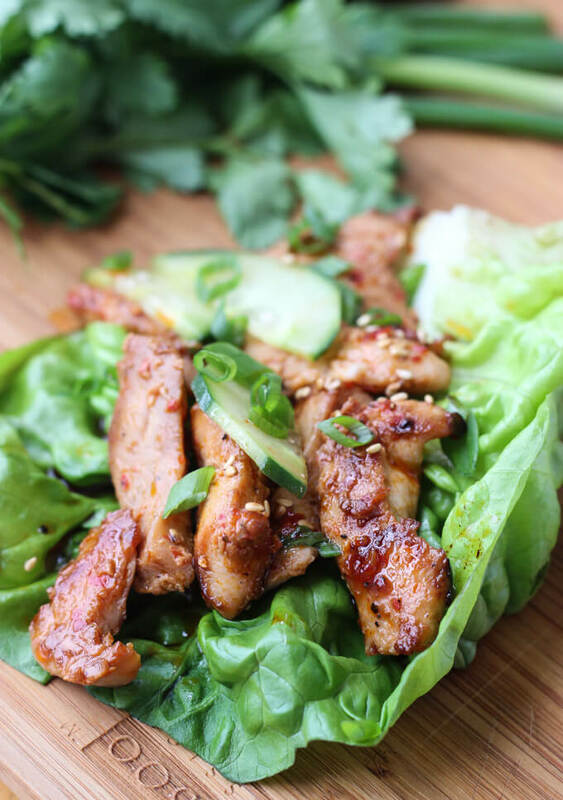 What do you think of these 27 low carb chicken recipes? I hope you love them as much as I do and embrace the low carb lifestyle. Test them out and be sure to share them with your family and friends so they can enjoy them too. Great list! I tried the one pot wonder recipe it was very delicious!